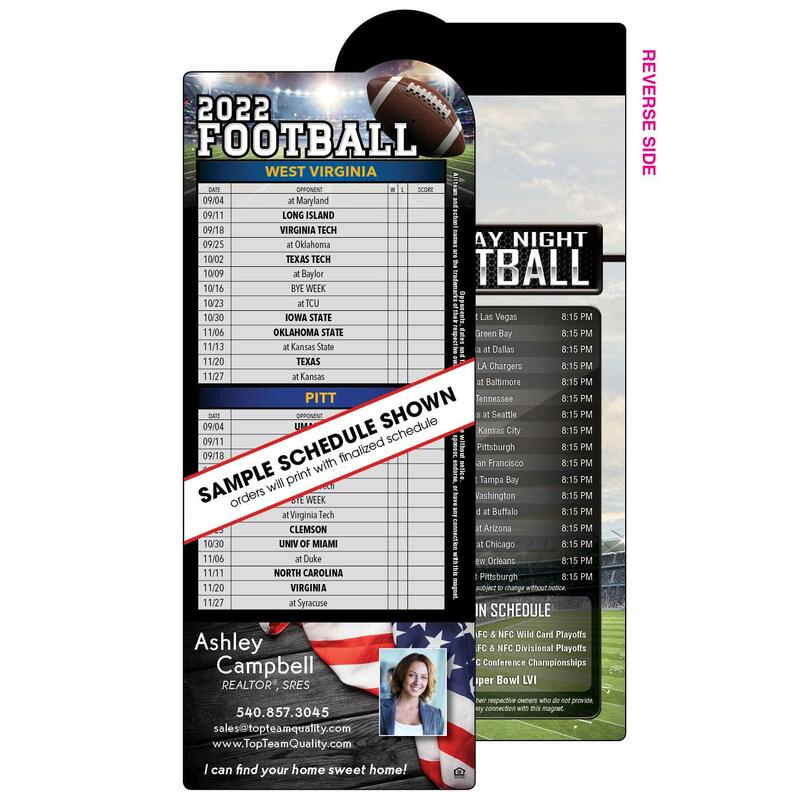 This 2-Team Football Schedule Magnet Card lets you reach double the clientele. The die-cut bump shape design is eye-catching and unique. 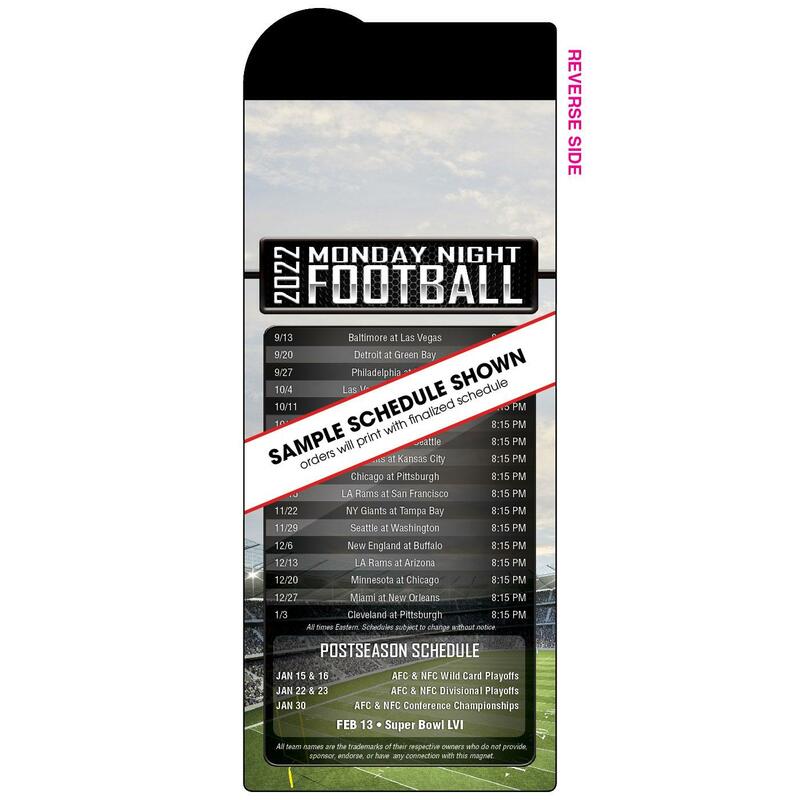 Your personalization is subtle, but effective. You won't find a more impressive marketing design area!